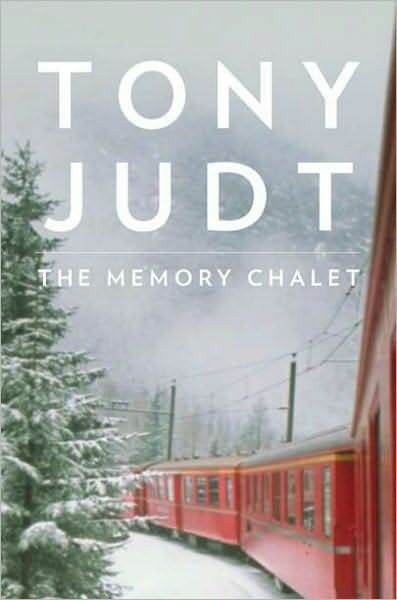 The Memory Chalet is a tricky piece for a reviewer. See, it was written by a dying man. Worse than that, the man in question was immobile, paralysed almost completely by one of those neurological disorders that make you gradually lose control over your muscles before they kill you. Now how can a reviewer write something unkind about a book written in so dreary circumstances? How indeed? Frankly, I think it's a cheap trick. Not Judt's - in the very first sentence he claims the essays were never meant for publication. Without pointing a finger, let me just say that making money off a dying man's suffering is ugly and I can't help feeling slight disgust when I read all those raving reviews (focused, it goes without saying, more on the author's condition than on merits of his writing). Call me outrageous if you will, but I think The Memory Chalet is nothing remarkable. I have not come across Tony Judt before. From what I gather he was a historian and a humanist, apparently a good one. I imagine The Memory Chalet would mean more to me if I ever read any of his history books, if I managed to form any personal (even if indirect) relationship with the author. Because for the value of the stories themselves, it is not particularly life-changing. Riding a bus is a common enough experience, no need to go frantic about it. I can see why Judt could remember it with nostalgia, but why on Earth would his readers care? It gets better towards the end, with the essays turning more philosophical than personal, touching on a wide range of subjects, from education through pop culture to multiculturalism. Judt was opinionated - something I really like - but there simply wasn't enough space in the slim volume for his opinions to shine. Not an unpleasant book, overall, but I can't see any reason to rave, no matter where I look.